Emily Goodman, age 93, went to be with her Lord and Savior on Monday, December 3, 2018. She was preceded in death by her parents Harold and Treasure Swartz; husband, Clare M. “Tucker” Goodman; son, Clare H. Goodman and sister, Lillian Hulslander. 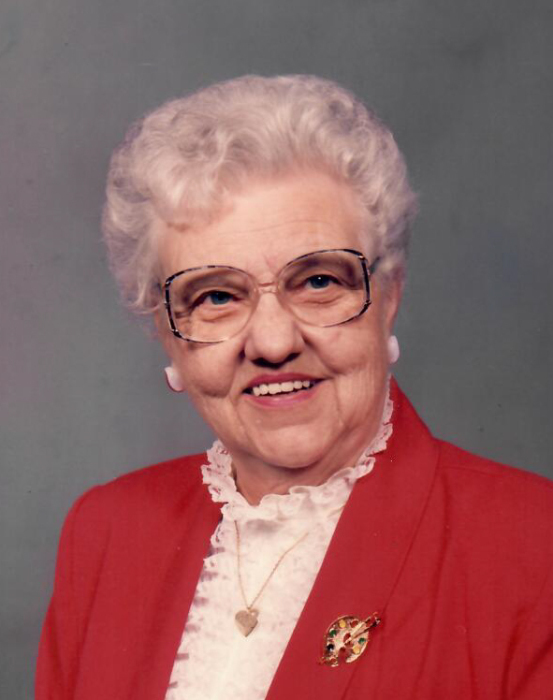 She will be lovingly remembered by her children; Larry (Jayne) Goodman; daughter-in-law, Clara Goodman; 7 grandchildren; 17 great-grandchildren; 21 great-great-grandchildren and many nieces and friends. The family would like to extend a special thank you to her good friend, Vivian Arnsman, for all of her support to Emily.